Many couples, who travel to Florida for their destination wedding, are looking for a resort to host their guests for a long weekend. 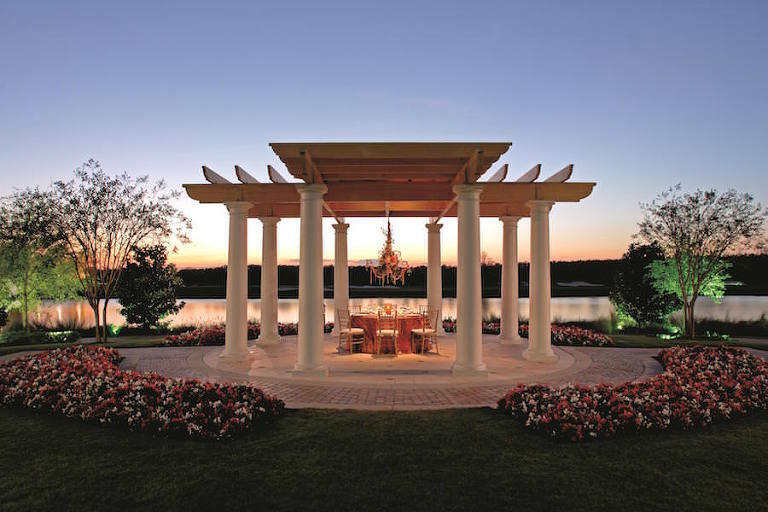 With over 500 acres, a Greg Norman Signature golf course, eco-tours, kayaking and two hotel properties, Grande Lakes offers the ultimate Orlando wedding getaway. 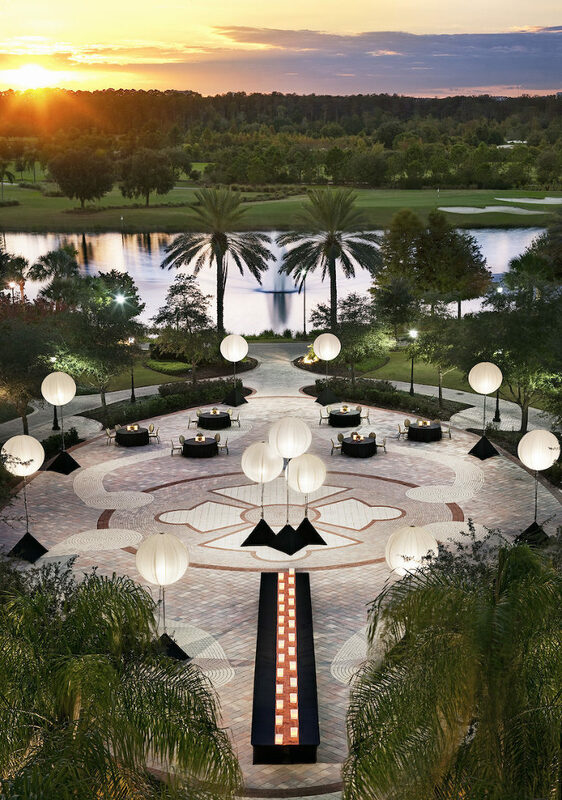 Grande Lakes hosts two upscale properties, the JW Marriott Orlando, which features 1,000 rooms and 64 suites and the Ritz-Carlton Orlando, with almost 600 rooms and 60 suites. I was lucky enough to experience the property first hand as a guest at the Ritz-Carlton’s Invitation to Wedding Showcase, which featured a wedding trends luncheon, spa visit and bridal fashion show by Solutions Bridal. I must say, apart from touring the vast property, I was most looking forward to spending the afternoon at the 40,000 square foot award winning spa with Marry Me Tampa Bay preferred wedding planner and Ritz-Carlton Signature Weddings planner Blush by Brandee Gaar. With over 40 treatment rooms, a 4,000 square foot lap pool and 6,000 square foot wellness center, couples can relax before and after their wedding day. The spa staff provided amazing service. I spent the afternoon getting pampered with hair and makeup to attend the evening’s bridal fashion show. My hair and makeup artist was so personable and accommodated every request. When I mentioned I had left my makeup bag at home, she even put together a touch up kit so that I would still look fresh faced the next day. The Ritz provides a variety of outdoor wedding ceremony and reception options: a lakeside gazebo, lush Citrus Garden with dramatic three-tiered spiral staircase and sprawling Da Vinci Lawn, which accommodates up to 600 guests. The full-service wedding venue includes rehearsal, white folding ceremony chairs, ballroom backup, alcoholic welcome drinks and a private champagne toast for the couple. Ceremonies began at $3,000 and can be reduced with the booking of their preferred wedding planner. 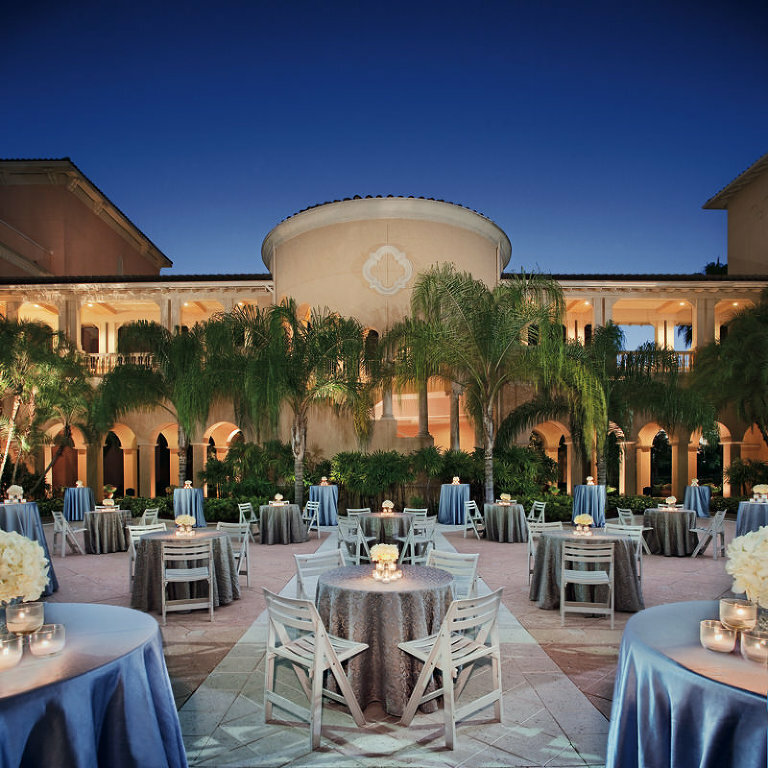 Inside the Ritz-Carlton Orlando, couples can chose from four ballrooms that can host a private setting for 10 to 600. We love the clean look of the Tuscany Ballroom with its white dramatic ceiling and private terrace, perfect for drinks, desserts or cigars under the stars. Packages start at $198 per person (plus tax and service charges) and include: hors d’oeuvres, dinner, cake, five-hour premium bar, champagne toast and chiavari chairs. 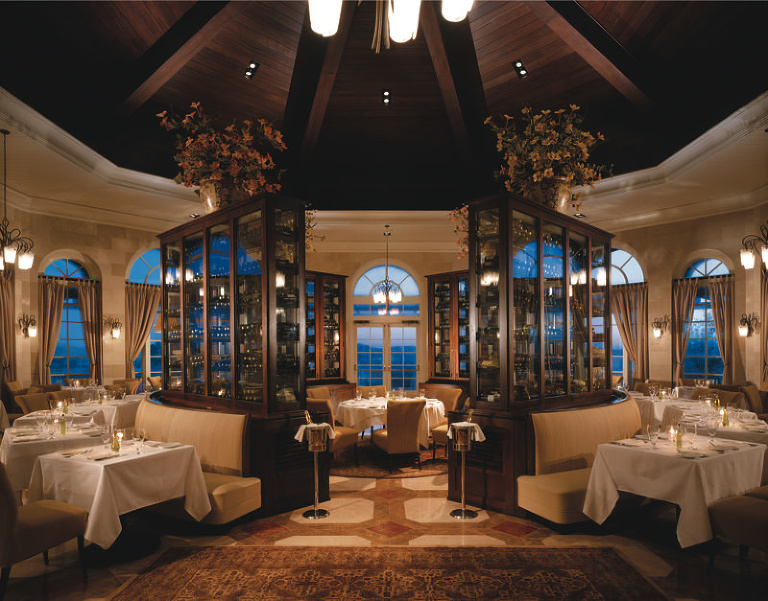 The Ritz reception packages also include linens, chargers, centerpieces, dance floor, stage, menu cards, tasting for up to six and deluxe accommodations for the couple on their wedding night. For the food centric couple, the venue offers an extensive menu featuring a plated dinner, buffets, action stations and an in-house pastry chef. Some of the mouth-watering dishes include: Stuffed Chicken Breast with Truffle and Mushroom Duxelle, Truffle Mousseline Potato, Braised Short Rib of Beef with Balsamic Glazed Pearl Onion, ethnic inspired action stations and desserts such as Deep Fried Cheesecake. For those couples looking for an outdoor rustic setting, the property even has a 500-acre farm on property which is great for outdoor vintage weddings, welcome BBQs and “day after” brunches. All Ritz weddings include a personal wedding event manager and wedding concierge to coordinate your wedding and assist your wedding planner. This post is sponsored by the Ritz-Carlton, though all opinions are our own.